NEW! PREORDER! Available end of the week of April 15, 2019. Order now and save 20% (price is discounted from the regular retail price of $36.95.) 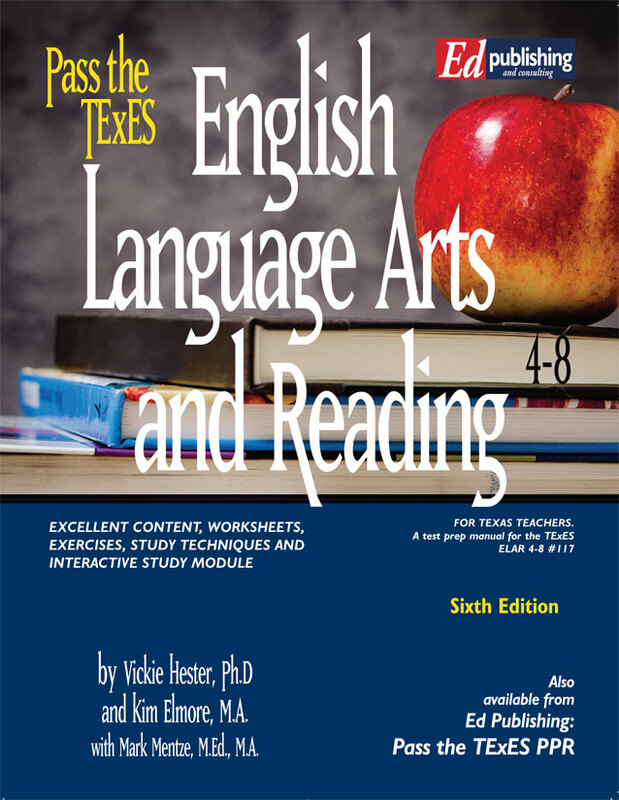 Pass the TExES English Language and Reading 7-12 for test #231, 1st Edition, features excellent content for each Competency chapter, exercises, worksheets, an interactive PowerPoint® study module, and unique test preparation strategies in the style of all of the Pass the TExES books. The book is approx. 135 pages in length. ***NEW! At the end of your purchase request the supplementary files by email...our PowerPoint® study module and the official state TExES prep manual. Book ships within 24-48 hours. ***Email us at edpublishing@passthetexes.com and we'll send you the files through the free download service, Dropbox®. 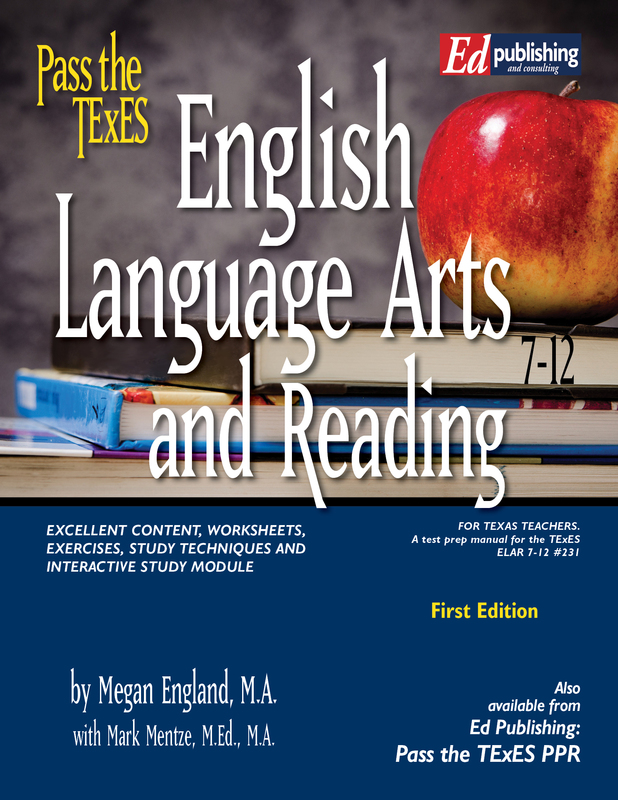 Ebooks and our new online modules or TEMs (TExES Ebooks Modules) will be available soon. Megan England, M.A., received a Bachelor of Arts degree in English and Spanish from the University of Oregon in Eugene, Oregon. She returned to the University of Oregon to earn a Master of Arts degree in English. Megan trained to teach writing and critical reasoning in the UO Composition program and has taught themed writing courses about topics ranging from pop culture to science and technology. SEMINARS: Seminars are conducted when an institution orders one. If you would like your institution to set up a seminar with our program, we will contact them with all the information. Simply e-mail us at edpublishing@passthetexes.com. If you are an institution, we can conduct full-day and half-day seminars at your location and would be happy to send a detailed proposal to you with pricing. Please complete our seminar survey. 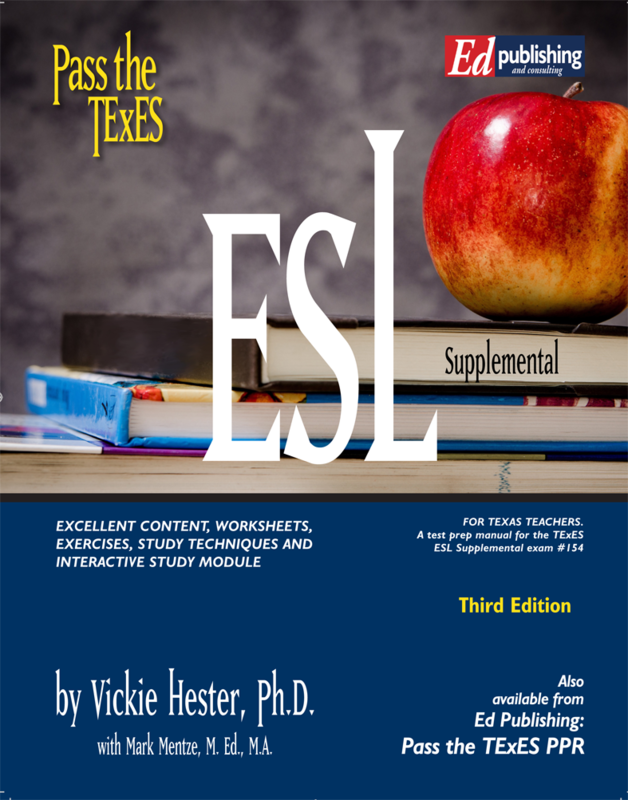 ONLINE MODULES: The TEMs (TExES Ebook Modules) are a great option if you don't think you need tutoring, but might need guidance through all of our exercises and activities. Everything is online in a course format but you can print chapters and worksheets. The course has the same content as our books and ebooks but everything can be done on your computer or portable device. To order, go to the Module link at the top left of our main page or scroll down to the modules just past all of our books and ebooks. TUTORING: To purchase tutoring, all tutoring choices appear at the bottom of the main page of our website. See a description of all of our options below. "The Basics" options: This introductory session by phone with our staff is usually held on Sat. mornings and is $45 for just over 1 hour. You can purchase this session back on our main page near the bottom of the page. This is a great option for teachers who want a kick-start to their study. With this option your book is also 10% off and provided by refund to your card after the session. This session does not cover subject matter content, but provides a step-by-step review of every part of our study program...worksheets, exercises, study tips, etc.